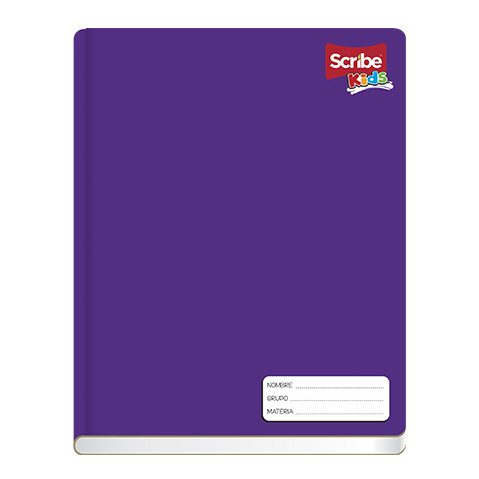 CUADERNO PROFESIONAL COSIDO SCRIBE KIDS 2443 100 HOJAS CUADRO 7 MM. CUADERNO PROFESIONAL COSIDO SCRIBE KIDS 2442 100 HOJAS CUADRO 5 MM. CUADERNO ENGRAP FORMA ITALIANATAL SCRIBE CLASICO 6132 100 HOJAS CUADRO 5 MM. CUADERNO COSIDO FORMA ITALIANA SCRIBE KIDS 2242 100 HOJAS CUADRO 5MM. CUADERNO CON ESPIRAL FORMA ITALIANATAL ESTRELLA 172 100 HOJAS CUADRO 5 MM.